A world record in the H class. The 1.016 to 1.523 L class. In the Production Supercharged category. Now this is one heck of a story here. Personally I don't think that "destroking" a motor is as exciting as what I am trying to do, but it is still one heck of a feat of engineering with their MR2. Another differentiation is that I am attempting my goals in a mere mile...not 4-7 on the Salt Flats. Granted you can get much more bang for your buck on tarmac, but still once again I will be doing it with a street legal daily driver. My car will also still actually be in the Production Supercharged category and also the Yaris is definitely of course not classified as a Sports car. There are a lot of differences between us really, but the core of it is that this team unless mistaken sits at the world's fastest 1.5L car at 199mph. 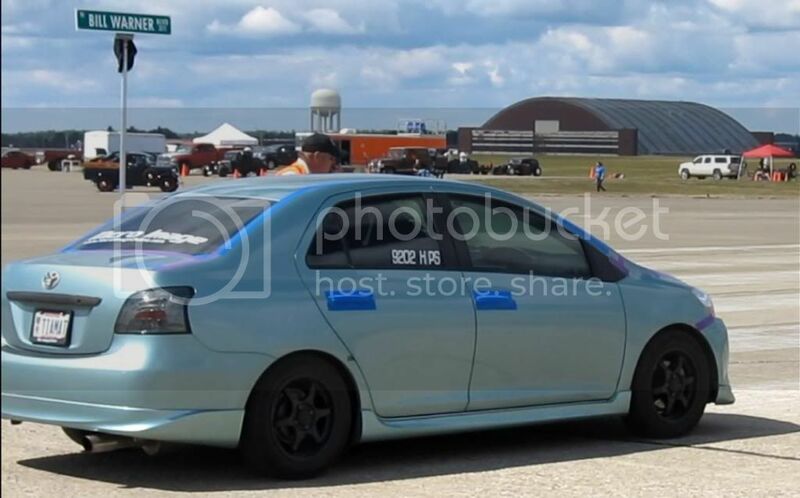 My goal if I can get everything put together for this summer/fall will be 175mph in only a mile which unless mistaken is a mile world record and it will be done in an econobox grocery getter. I guess only time will tell!